I landed from my flight home for the holidays yesterday to a slew of texts and news alerts about Ginsburg’s surgery. For a split second, my stomach wrenched–but was relieved to read news reports indicate that short of complications in recovery, prospects look good for a full recovery for Ginsburg. She hopes to be back on the Court for the start of the new term in early January. 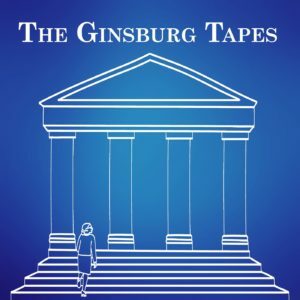 As I perused Twitter and Instagram, I was struck by the outpouring of support for Ginsburg. So many people offering thoughts, best wishes, admiration–and to donate their lungs. One interesting question that comes up time and time again for me as I work on this project: why is #RBG such a cultural icon right now? Why is she such a center of pop culture? Where did gangsta-feminist #NotoriousRBG come from? 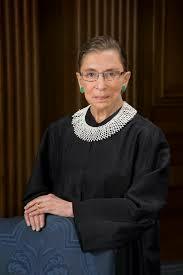 Why are so many Americans just so invested in Ginsburg, an 85-year-old grandmother? Beyond the obvious political reasons, I think that the unfortunate reality is that there are just so few women at the top in public life. And of those few, there are even fewer that made their names, made their mark, fighting for women’s rights. RBG is lionized because she is one of so few that can hold that mantle that so many of us crave right now. She has talked enough talk and walked enough walk to serve an outlet for our collective expectations and hopes and dreams and energy and utter frustration about the state of our nation. She is relentlessly substantive. Unassailably brilliant. Demonstrably resilient. And, as we’ll explore in detail on the podcast, she built her name, her career, her integrity, her hustle fighting the fight for women’s equality. She made it easier for there to be many more leaders like her to follow the trail she blazed with sheer grit and moxie. We’ve come so far since her first oral argument in January 1973 (which we’ll dive into in Episode 1 in NINE days! ), but we have so much further to go. This is still Act One in a very, very long play in the fight for true equality. I, for one, am tired of waiting.